Bear is excited when he wakes up early from hibernation. Finally, he can build a snow man. While he is at it, he meets Rabbit, who despite never having built a snowman before, is determined to build a better one than Bear. Plus, Rabbit figures with an avalanche and a hungry wolf on the way, it could be good to have Bear around. I love this fun and cheeky story about friendship. 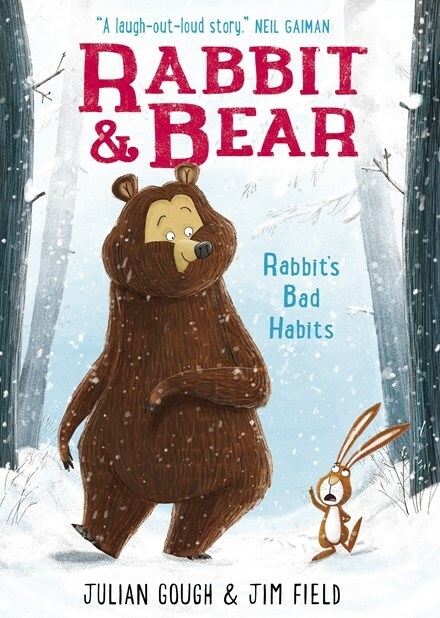 The illustrations are fabulous and the relationship between Bear and Rabbit perfect. Rabbit and Bear is perfect for reading aloud to your child or for the early independent reader aged up to 8. It’s fun, cheeky and just a little bit silly. And there is a second book in the series, Rabbit and Bear – The Pest In the Nest. Highly recommended for 5 – 8 year old readers.